The Women of Color Cultural Foundation is proud to co-host the Annual ABC Breast Health Summit in Florida in October every year. The event focuses on educating women about prevention, early detection and treatment of breast cancer. Participants gain a better understanding of the health disparities that exists among African American, Black, Hispanics and other women of Color (ABC). It features keynote speakers from Mayo physicians from various states across the nation, as well as a panel of experts from Mayo Clinic in Florida’s Breast Clinic. In addition, participants are honored with beautiful testimonies from survivors of breast cancer. Adolescents Choosing Excellence (ACE) is an initiative to educate and energize youth from youth-based organizations, aged 8-18, on becoming advocates for physical activity, healthy nutrition, decreased total screen time, prolong abstinence, avoid tobacco and alcohol consumption. ACE is an initiative to educate and energize youth on becoming advocates for their health. Ebony and Ivory Gala is a black-tie affair which recognizes women who have made significant contributions in health, education, and economic development. In addition, a community service agency is recognized for its outstanding contributions. The evening of elegance will include dining, dancing; achievement awards, silent auction, and live music. Proceeds from the event will benefit scholarships and community service events. Financial Planning for a Brighter Future workshops are to assist families with budgeting and planning financially for the future. Raise an awareness of health disparities that exist nationwide. Inform participants that taking preventive measures (e.g., routine health exams) can reduce the chances of having major health challenges. Educate participants on the importance of keeping an open line of communication with their health care provider. Educate youth, ages 13-17 on ways to prevent obesity related to nutrition, physical activity, decreased television / computer screen time and some ways to convey health messages. 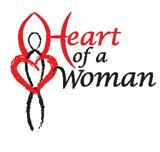 The Heart of a Woman Luncheon is a great event for learning about cardiovascular health. It is a luncheon held on the first Saturday of February every year. Over 250 women and men all dressed in beautiful red eat a heart healthy lunch and learned about preventing and treating heart disease. We aim to make women more aware of the major risk factors that contribute to cardiovascular disease including obesity, physical inactivity, high blood pressure and diabetes. Presentations vary from yoga showing how to slow down using breathing techniques to Zumba in increasing cardiovascular rate through exercise are enjoyed by all. Education on heart disease is given by a variety of experts including cardiologists, pharmacists, nutritionists, and others. Participants learn a lot about women’s risk for developing heart disease and heart attack. Did you know that heart disease is the leading cause of death for women? Heart disease is the leading cause of death among African American and Hispanic women. Plan to attend each year to stay knowledgeable about current ways to maintain your heart’s health. Speaking of Women’s Heath is a conference designed to help women make informed decisions about health, well-being and personal safety for themselves and their families. The Foundation has given over $140,000 in scholarships to date.